As part of the industrial development, more and more human-machine collaboration is needed on the shop floor. With the introduction of Industry 4.0, enterprises aiming at digital transformation started to use smart wearable devices and related solutions, to standardize the plant operation process, improve work efficiency, support maintenance and training. In 2018, Siveco China and LLVision jointly released bluebee® for smart glasses solution. 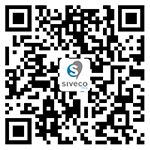 Siveco China is a pioneer in the development of Smart Technologies for the Operation & Maintenance of infrastructures and industrial plants, with a focus on mobile solutions "for the worker of tomorrow". LLVision has worked in the field of AR for many years, with numerous commercial applications of AR glasses in various industries. Therefore, LLVision and Siveco China jointly launched "bluebee® for smart glasses", combining leading technologies from both companies into a single solution to support domestic and foreign industrial firms to upgrade to Smart Operations. bluebee® for smart glasses is an integrated AR solution jointly developed based on LLVision's innovative AR glasses and Siveco's widely used standard bluebee® app "for the worker of tomorrow". When the phone detects the presence of the GLXSS AR glasses, bluebee® will automatically enable the AR display to support the inspection process, equipment condition checks and troubleshooting. During operations, the AR glasses help ensure compliance with standard operating procedures, while the user’s hands remain free. When the AR glasses are in use, the technician can perform his manual work, as the smart phone is left in the pocket. Essential in today's regulatory environment, bluebee® for smart glasses ensures compliance with HSE regulations and standard operating procedures. bluebee® is a standard Android app for Operation & Maintenance, Asset Management and Risk Prevention, already used by hundreds of clients in China. bluebee® syncs data with any back-office system (such as CMMS, EAM, ERP, IoT etc.) as part of the Smart or industry 4.0 ecosystem.